Mine winches are an important part of your operation, but they must be used safely and effectively. You have to be sure that you know the ins and outs of working with these winches. As you can well imagine, that are plenty of situations that can cause safety concerns. The following tips are geared to help you ensure the safe and efficient use of a mine winch within your work environment. You have those situations where a winch has a load, and you need to know where to stand. That might sound like an obvious safety tip, but it can’t be disregarded. Workers have to be standing in the right place, and that’s a very important tip. Is this a safety guideline that is observed when you and your co-workers are mining? Then you have the cable and how it is handled. There are things that you need to know not do to with that cable. 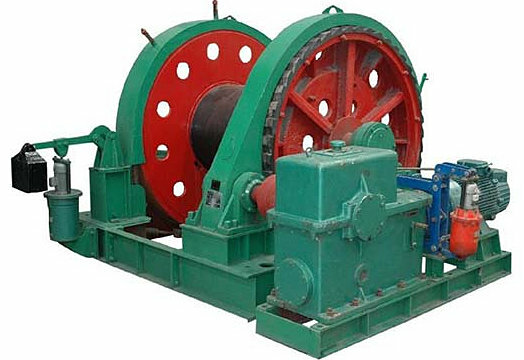 Do you know about re-spooling the mine winch before a new load is handled? Without doing this, you are compromising your safety, and you could cause damage to both the winch and the cable. You first want to be sure that everyone stays safe, and then you also want to be sure that the equipment is handled properly. Loads have to be tight when lifted, and those loads have to be stacked properly when operating a winch. Some of the safety tips seem so obvious as mentioned earlier, but there is more to them than what you think. Not only that, but there are serious consequences when the rules aren’t followed. When working with a winch, the safety guidelines are actually rules because people’s safety is at stake. Do you know what frame mounted tow points are? What about kinetic tugs? All of this is terminology that you really do need to know if you’re working with a winch. You might not know everything, but you need to know enough to be working with a winch. There should be more experienced winch users standing by, and soon, you will be one of them. If you are the boss, and you have employees using a winch, you have to make sure they are aware of all of the safety guidelines and rules. Operations involving a mine winch have to be handled appropriately. You want everyone to stay safe, and you want efficient mining operations, too. You don’t want the equipment damaged as mentioned. Mining winches are expensive and have to be handled properly. For example, one thing that you don’t want to do is to wrap a winch cable around a tree. You have to know things like this so that you don’t make a costly mistake. A mistake that damages equipment is one thing, but you want to stay safe. Start with the basic tips for handling mining winches, and then you can work your way from there. You will learn more about how to use the mine winch, and then you can be the expert.